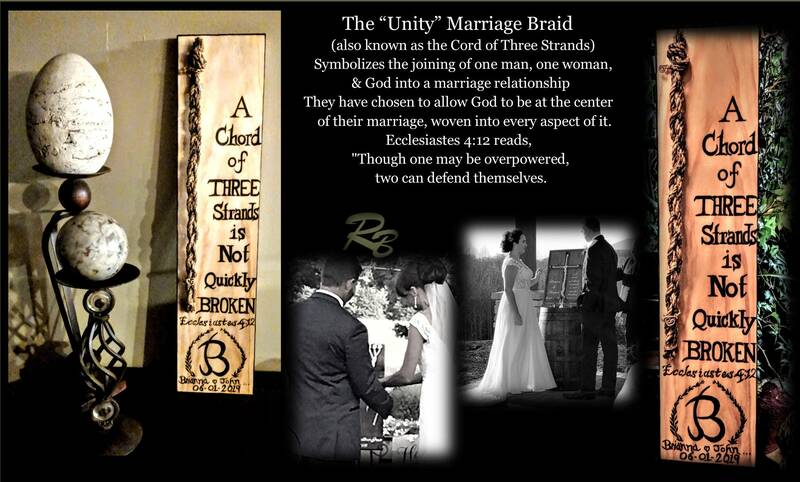 unity ceremony, Braid, NO Pealing Stickers! 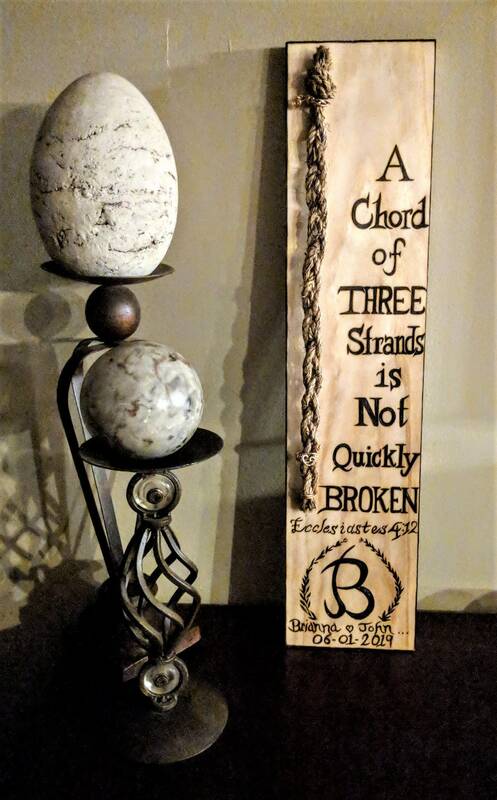 Gods Knot,Wood burned,therefore God hath joined together, let not man put asunder. 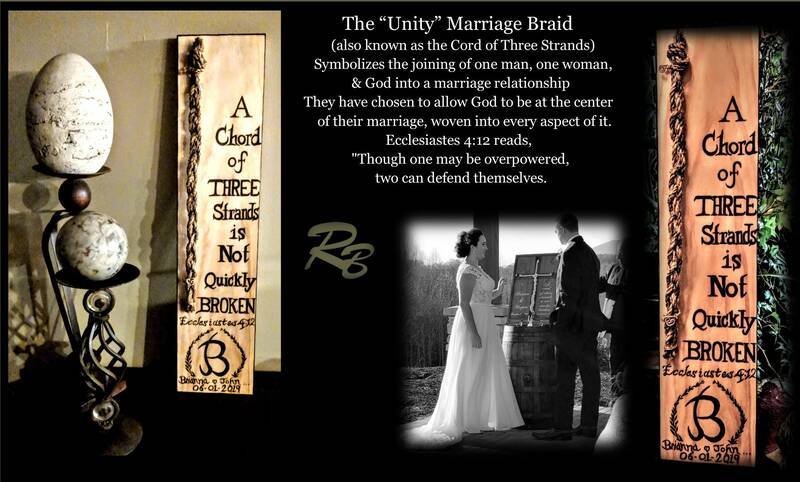 unity ceremony, Braid, "NO Pealing Stickers!" 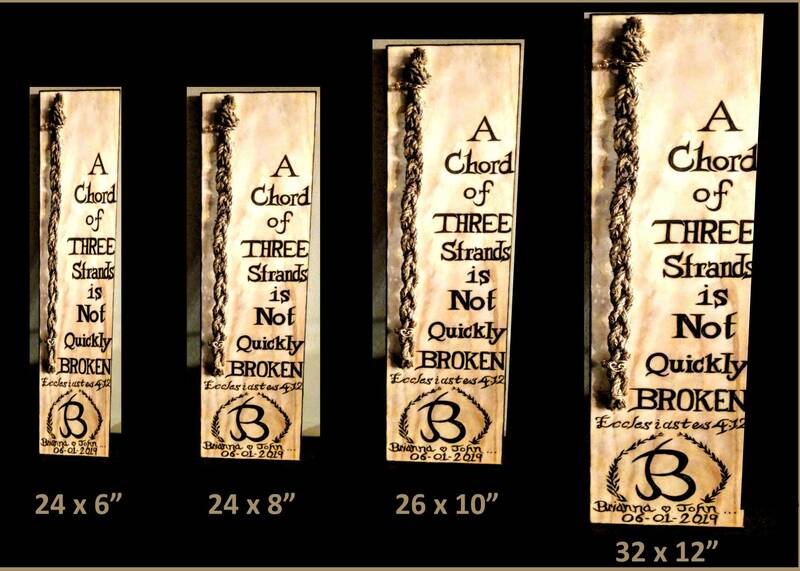 Gods Knot,Wood burned,therefore God hath joined together, let not man put asunder.